CHICAGO–(ENEWSPF)–March 14, 2017. 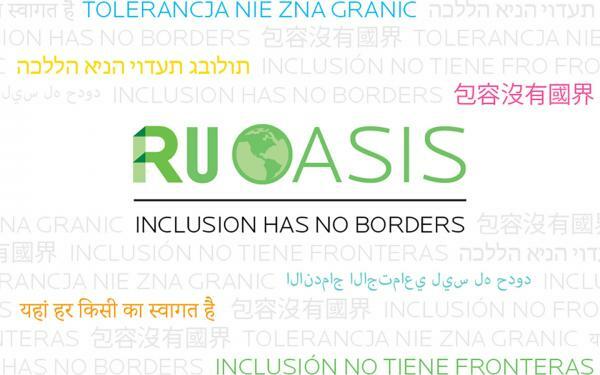 The campaign that will distribute hundreds of signs at the Chicago and Schaumburg campuses through Monday, March 20, encourages Roosevelt community members to reaffirm the university’s values of inclusion and social justice as well as support Roosevelt’s diverse community by posting “Inclusion Has No Borders” signs at desks, in offices and departments all over the university. “While all of Roosevelt University is a ‘safe space,’ the signs are a symbolic way for members of our community to show solidarity with anyone on campus who may have issues or concerns about changing federal policies on immigration and other topics,” said Sharron Evans, associate vice president of student affairs and dean of students at Roosevelt University. The campaign will be held from 11 a.m. to 2 p.m. on Wednesday, March 15, Thursday, March 16 and Monday, March 20 in the Wabash Building Dining Center in Chicago and at the Schaumburg Campus. During the event, community members are invited to show their support for international students by posing for and posting photos on social media with the Study Group’s #YouAreWelcomeHere signs and hashtag. The new campaign is sponsored by Roosevelt’s new Outreach, Advocacy, Social Justice, Information and Safety (OASIS) Committee, which was commissioned earlier this year by Roosevelt President Ali Malekzadeh to assist international, immigrant, Deferrred Action for Childhood Arrivals (DACA) students and their families and others in need of information, resources and support regarding changing federal laws and policies. Led by Roosevelt faculty member Pamela Robert and Roosevelt Lakers baseball coach Steve Marchi, OASIS has five objectives. They include: outreach to ensure members of the Roosevelt community feel supported; advocacy for just and non-discriminatory policies; reaffirming and raising the visibility of Roosevelt’s historic social justice mission and values of inclusion; providing trusted information and resources; and promoting the safety of all members of the Roosevelt community. American Civil Liberties Union www.aclu.org ; Immigration and LGBTQ News and Policy Updates, Legal Resources, Advocacy Tools. “We are encouraging anyone in our community who has concerns and issues regarding recent changes in laws, guidelines and mandates by the federal government to consult these resources and or to get in touch with Roosevelt staff members who are versed in the changes that are taking place,” said Robert. Questions can be directed to Evans, at [email protected] or Dawn Hougland, assistant director of International Programs, at [email protected].